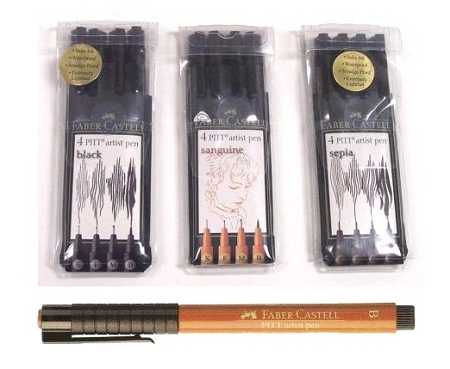 Extremely fade-resistant Indian ink pigmented formula drawing ink pens. Choose from Superfine, Fine, Medium and Brush tip pens. Waterproof when dry, Acid free, Ph neutral. Available in one-color sets or individually. Sets include one of each Superfine, Fine, Medium and Brush in a handy clear vinyl wallet.